Reflecting on a recent testimonial from a recent diagnostic Autism and ADHD assessment below got me thinking about journeys and the journey that is diagnostic assessment! In the testimonial that popped through my inbox this week, one quote struck me most – “Their diagnosis of our daughter was far more than her receiving a mere “label”“. When anyone embarks on a diagnostic assessment they are of course in part looking to see whether there is a diagnosis that fits – and that seems like the primary destination for the family. However, there is much more needed than that. A diagnostic assessment is like a road through a forest – full of unknowns for families and often twisting and turning. Our role as clinicians is to guide through that forest, listening and sifting through what we see and hear, guiding to the track again, walking ahead and finally stepping out onto a higher place where you can look around at the new vista from a new perspective. And when we arrive there (with whatever diagnostic outcome) families find that was one destination reached, but that there are now new paths to explore. As clinicians our job is to set parents on a new journey (sometimes a different one to what they had expected as parents) and guide the next roads they might travel. The journey of understanding what that diagnosis means for their child and to their child, and for them. Figuring out which tools they need to stock up on to travel the next roads and identifying the right people and supports to make the next steps of the journey with. “Asking Jude and Helen at Grow Communication to lead the assessment of our 9-year old daughter for autism (ASD) and ADHD was one of the most positive decisions we, as a family, have ever made. Having spent over a year on an NHS waiting list with no signs of progress, we were becoming increasingly frustrated and overwhelmed by the “not knowing”, with our daughter’s increasing feelings of being different and desire to better understand herself only adding to this. From the outset, Jude and Helen’s clear communication, professionalism and calm and compassionate manner made us relax and trust the process that lay ahead. Our daughter took to them both instantly and thoroughly enjoyed her interactions with them, whether at our home, her school or in their beautiful office in Polmont. My husband and I were equally impressed by our dealings with Jude and Helen and were amazed how quickly they got an accurate picture of our daughter, her strengths and her challenges. Throughout the whole process, we felt truly supported by Grow Communication. Their diagnosis of our daughter was far more than her receiving a mere “label”; their extensive assessment report outlined a number of helpful strategies for us to employ at school and at home and so we feel far more able to approach the weeks and months ahead with confidence and understanding. 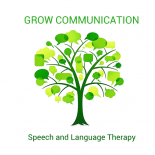 Jude Philip is a Specialist Speech and Language Therapist at Grow Communication. Grow supports children and families with a wide range of additional support needs and offer diagnostic assessments for Autism and ADHD. This entry was posted on August 31, 2018 by judephilip in Uncategorized and tagged autism asd adhd diagnosis.